Muttahida Qaumi Movement boss Altaf Hussain on Tuesday apologized to Shireen Mazari for articulations he had prior made about the senior Pakistan Tehreek-e-Insaf pioneer. 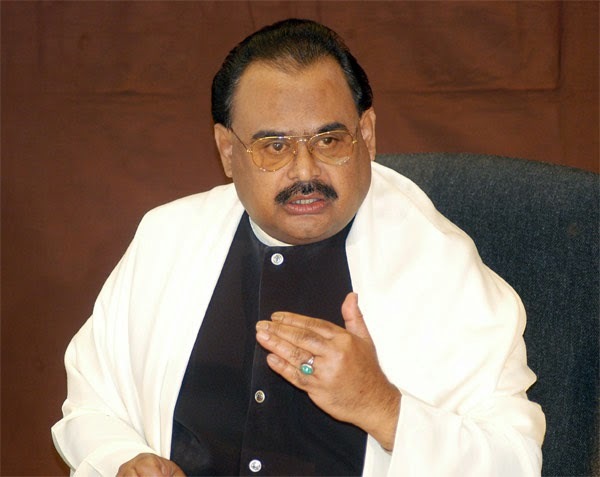 “I am Sorry," said Altaf Hussain in a statement of regret to Mazari amid a live TV meeting. "I additionally look for absolution from all decent ladies present in PTI rallies and processions," he said. The MQM leader was prior censured for making what PTI pioneers depicted as disparaging articulations against the PTI senior pioneer. Reacting to Hussain's conciliatory sentiment, Mazari said the MQM's Rabita Committee ought to additionally apologize for its announcements. Mazari said the PTI respects the conciliatory sentiments by the MQM boss. Islam likewise shows us to excuse the individuals who apologize, she added. PTI pioneer Imran Ismail said there was no personal war between the MQM and PTI. "Its something worth being thankful for that he [Altaf] has apologized. Anyhow what will happen to the announcements made by the Rabita Board today?" he said. Ismail urged the Rabita Panel to additionally apologize for its announcements. In the mean time, Pakistan Tehreek-e-Insaf on Tuesday took back the call for exhibit against Muttahida Qaumi Movement after MQM boss Altaf Hussain apologized for utilizing foul dialect for the female supporters of PTI.